Do you know someone who is about to become a nurse? If yes, there are many great options for gifts you can give to congratulate them on their achievement. Nurses help take care of our health and well-being so giving a little something would be a small thing to do for them. Show you care for them the same way they care for others for simply wanting to become a nurse. Here are some of the best nurse graduation gifts you can give for the nurse-to-be. JAS Glow-in-the-Dark Fob Watches are an important part of a nurse’s uniform. It is what they use to track and record a patient’s vitals, give medication on time, and accurately record documentation. This watch’s dial is easy to read, even at night. It shows 24-hour military time with an analog quartz movement and covered with fortified crystal. This watch costs less than $18. 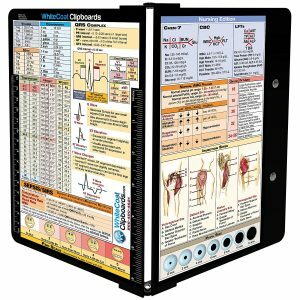 This nursing edition clipboard from WhiteCoat is another one of the best nurse graduation gifts you can buy. This has nursing references like acid-base determination, pain scale, and so much more. This clipboard costs less than $32. Nurses need clipboards to hold their patient’s documents. This one is made of lightweight aluminum with a powder-coated finish. This is able to carry 15 pieces of paper without creasing those. 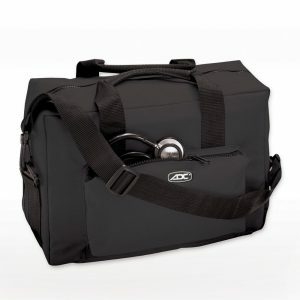 A decent medical bag will hold all the necessities a nurse will need for work. This bag from America diagnostics has been loved by many because of its durable construction and portable design. This will cost you around $40. This bag has a heavy-duty nylon construction with two handles and a shoulder strap. It has multiple pockets and all are padded with foam. It will be able to carry most medical equipment a nurse would need. For nurses, it is crucial that they are always clean. They cannot afford to transfer germs and bacteria to their sick patients. Our phones are like a goldmine of those germs that is why the PhoneSoap 3 is a great gift for graduating nurses, and it only costs less than $50. 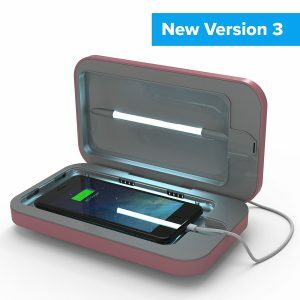 The PhoneSoap 3 has bacteria-killing technology that uses UV light to eliminate bacteria and sanitize the phone. It can also double function as a charger so you can sanitize and charge at the same time. You can even use it for other items like smartwatches, credit cards, and other things that can fit inside. If you want to give that graduating nurse you know something she will definitely use, you will not wrong with a Littman stethoscope. This costs around $80, but it would surely be worth the price since it will be used almost every day. This stethoscope has a high acoustic sensitivity and dual tunable diaphragms. This is easy to clean and has better resistance to skin oil and alcohol. This does not have phthalate plasticizers to be consistent with maintaining cleanliness. If the future nurse already has a stethoscope, a case to keep it safe would not hurt. This costs less than $14 and can fit most stethoscopes like the 3M Littman, MDF & ADC stethoscope and others. 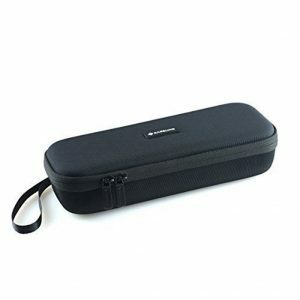 Caseling Hard Case is made to be safe and durable. The stylish and durable case is waterproof and shockproof for optimum safety for a stethoscope. There is also an interior mesh pocket and penlight holder. It can be taken everywhere because it wraps around the wrist. For Personal or Professional Use? A gift is a gift no matter what. When buying a gift for a graduating nurse, determine first if what you want is something she can use as a personal item. 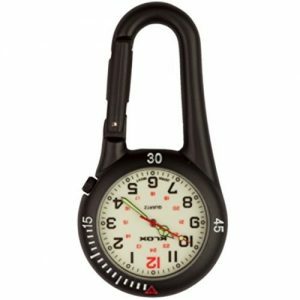 Alternatively, you can also give something that they can use at work like a watch or a stethoscope. If you truly care about someone, a gift is a sweet and simple gesture to show how much a person means to you. Giving someone something that they can use for work shows you are proud and excited about the career he or she is taking. A gift can show how much you know about the person you are buying for. What are their favorite colors? Will these fit them? Will this be enough? Get to know a little bit more about that person so it will be easier to decide on which gift to get. It’s graduation season again, and it is time to welcome graduates into the adult world. A nurse’s job description is to check vitals, administer medicine, or assist doctors. But, more than that, they show care and compassion to the sick patients, sometimes even more than a family does. Nothing says nurse like a good Littman Stethoscope, and above, we have recommended the most recent version of their stethoscopes. 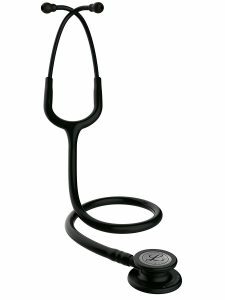 The 3M Littman Classic III Stethoscope will aide your nurse friend in doing what they do best.